Our Stage 1 kit featuring a cold-air intake kit and matching performance software. 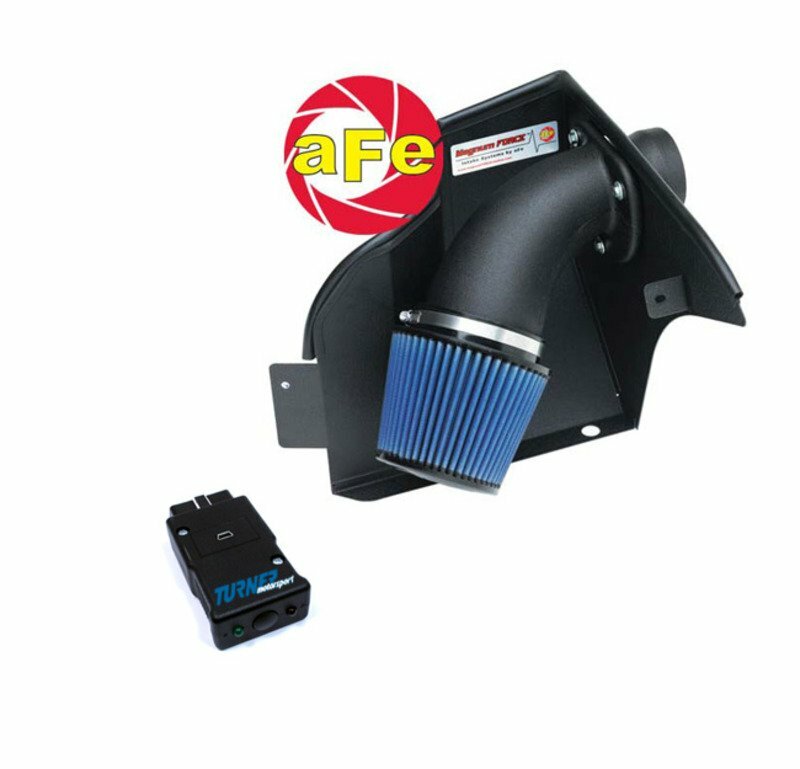 The aFe intake is made with heat-blocking materials, reducing underhood temperatures and not contributing to heat soak of the air filter. aFe uses an oiled cotton air filter for maximum air flow and excellent filtration. The kit is supplied complete with heat shield, intake tube, sealing materials, hardware, and install instructions. The software is tuned by BMW tuning whiz Jim Conforti and supplied with the Shark Injector. The Shark Injector is a do-it-yourself reflash tool that plugs into the OBD diagnostic plug in your dash. With the push of a button, it will copy your stock software and reflash your computer with the performance tune. You can set it back to stock at any time by following the same procedure. We also recommend upgrading the cat-back muffler for slightly more performance, lighter weight, and a more-aggressive sound. Our favorite E46 mufflers are the Supersprint, Borla, or Corsa exhausts. The Supersprint is the quietest and most like stock while the Corsa is the most aggressive (Borla being in the middle). You can expect a gain of 5whp with any of these exhausts.